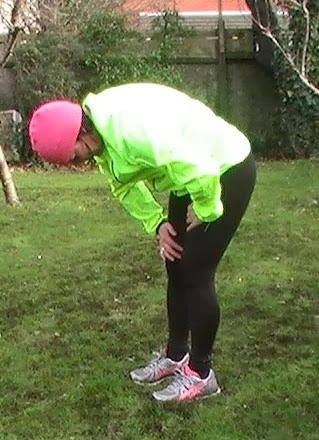 Always take time to do your Post Run Stretches as your muscles are nice and warm. This helps maintain good strong lengthened muscles. The following are some stretches you can do standing as opposed to floor work stretches. Calves – With a solid wall or tree etc in front of you, place your hands at shoulder height, the front leg bent and close to the wall with the other leg stretched out to the rear. 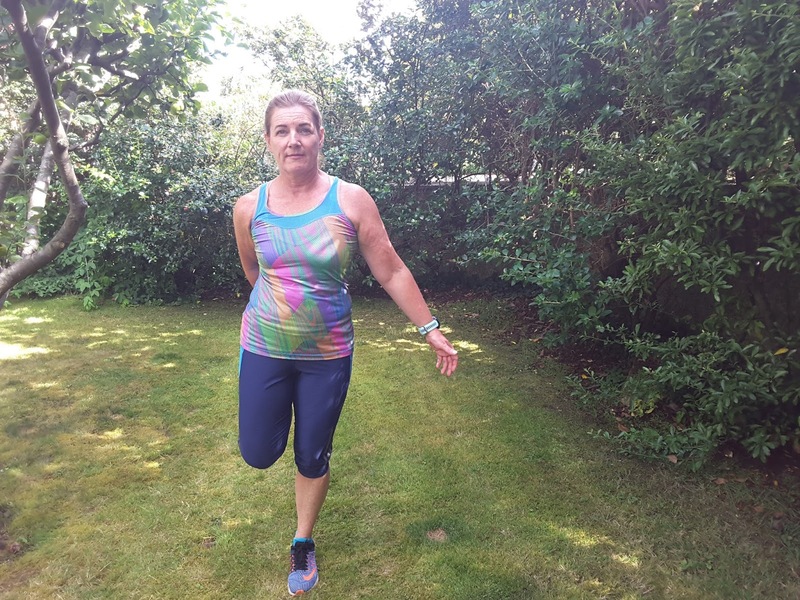 Gently stretch forward with your hips and feel the stretch down the back leg, make sure and keep the heels on the ground and toes facing forward. Count to 20 -30. As always don’t stretch into pain. Swap over and do the other leg. 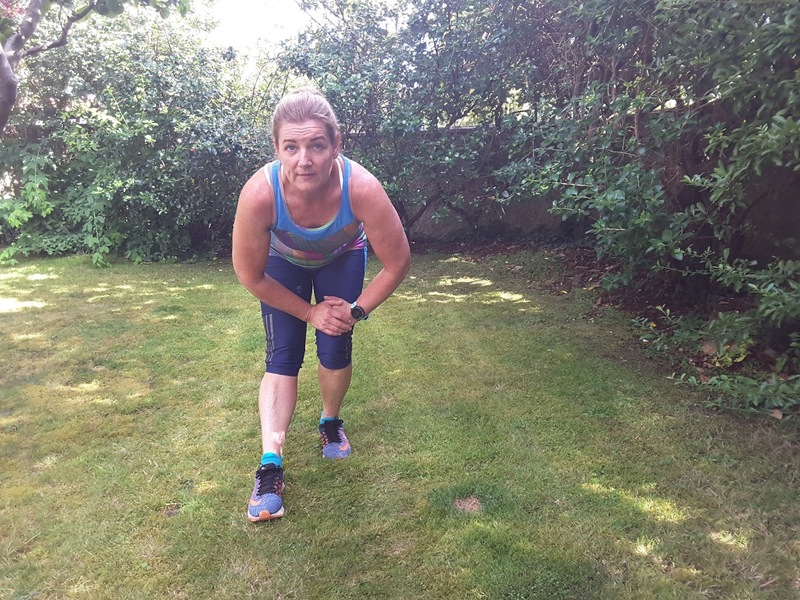 Quads & Knees – use a wall or piece of furniture for balance. Stand on one leg with a soft knee while taking up the other leg behind by bending at the knee. Gently push the pelvis forward for a greater stretch. Do the other leg. 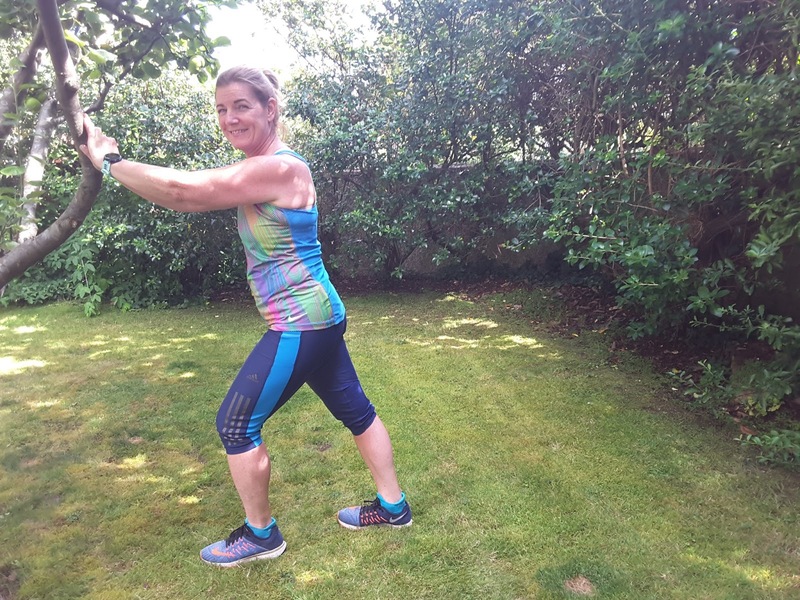 Calves, Hamstrings & Gluets – bending at the waist, bend the right leg while you stretch your left leg out in front of you. Feel a good stretch all the way up the back of your left leg from the ankle to the gluets. Place your hands on the right leg just for support. Look straight ahead for a better stretch, don’t look at the floor. Count to 30 and change over and do the right leg. 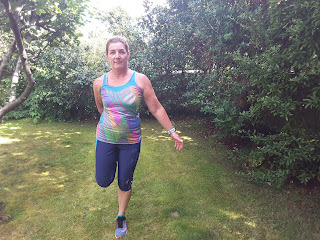 IT Band - Standing in your best posture (aligned, balanced, tall) take your right foot and hook it around the back of your left foot so it's now to the left of your left foot. 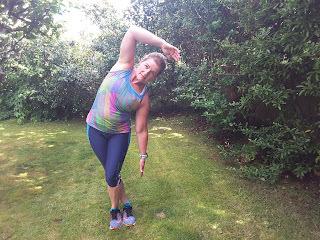 Then a bit like a ballerina (left arm relaxed and down or on your hip, right arm extended overhead towards the left) gently bend to the left, stretching the right hip area and your IT band. Count to 30 but if you find it too hard, do a count of 10, come up and relax, do another 10 and another 10. Don't forget to breath during the stretch. Then do the other side... so take your left foot and hook it around the back of your right foot so it's now to the right of your right foot. 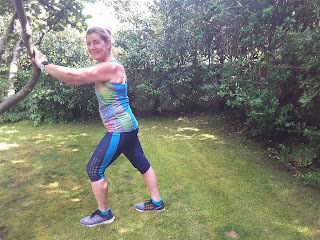 With right arm relaxed and down or on the hip the left arm extended overhead towards the right, gently bend to the right, stretching the left hip area and your IT band. Count to 30 but if you find it too hard, do a count of 10, come up and relax, do another 10 and another 10. Don't forget to breath during the stretch. Back and Gluets – take a deep breath in, exhale as you let yourself flop over at the waist and drop your hands towards the ground. Shake your head to make sure it’s relaxed and not holding tension. Count to 10 then come up to a flat back for 5 counts, take a deep breath and exhale as you relax down again, trying this time to add to the stretch and get closer to the ground. You should feel your gluets and back stretch more each time. Do this 3 times. 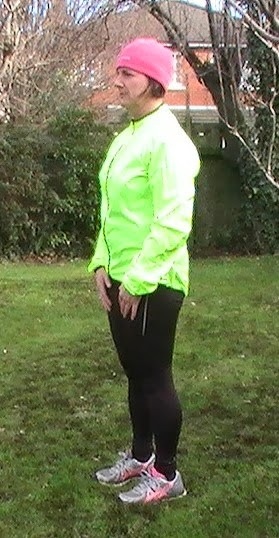 To finish put your hands on your knees and slowly walk your hands up your thighs and come up into an upright position.